A portable battery powered heat gun that has been approved for listing in the US Navy 505 Wiring Tech Manual and eliminates using lighters and open flames is available from Malcom Technologies of Portsmouth, Rhode Island. 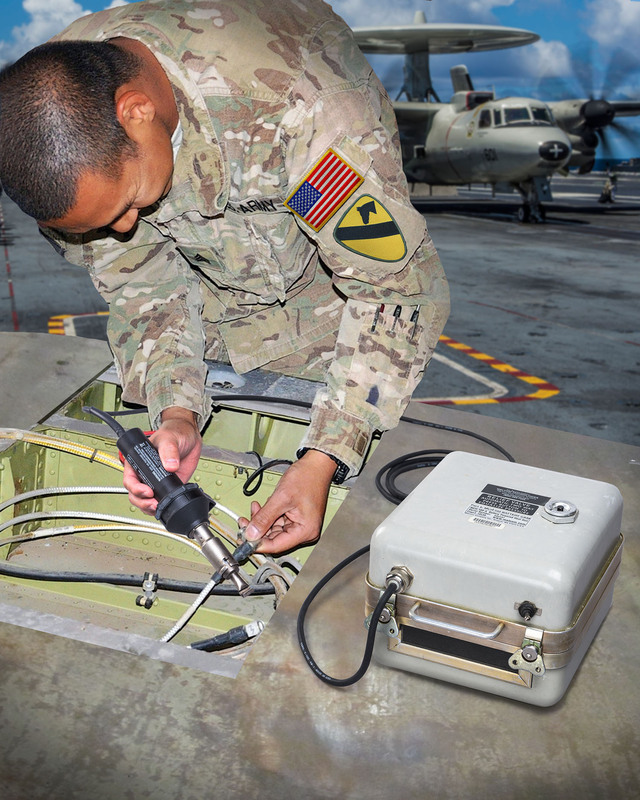 The Malcom MCH-100-A Battery Powered Heat Gun Kit is a fully portable, self- contained solution for electrical wiring harness repairs in fueled aircraft on carriers and in remote flight line locations. Featuring a lightweight heat gun that reaches up to 1,100°F, depending upon nozzle selection, the kit includes two standard nozzles to safely apply up to 20 solder sleeves or heat-shrink installations on a single 2.5 hours battery charge. Eliminating power generators, extension cords, propane, and dangerous open flames, the Malcom MCH-100-A Battery Powered Heat Gun is powered by a 48V rechargeable battery packaged in a tool kit bag that has a shoulder strap and heat-resistant pouch for storing the hot tool after use. Simple to operate, this tool has a built-in motor and fan that provides 2.66 CFM hot air flow and can be supplied with a wide range of specialty nozzles. The Malcom MCH-100-A Battery Powered Heat Gun is priced from $6,900.00 complete. Literature and with specifications are available upon request.